Our beautiful country is as varied as it is large and features some of the most diverse terrain in the world. It wasn’t easy to choose, but we’ve picked our favourite National Park for each State and Territory to make you fall in love with Australia’s great outdoors all over again. So dust off those cameras, get that battery checked, and let’s get you out on the long and winding Australian road. 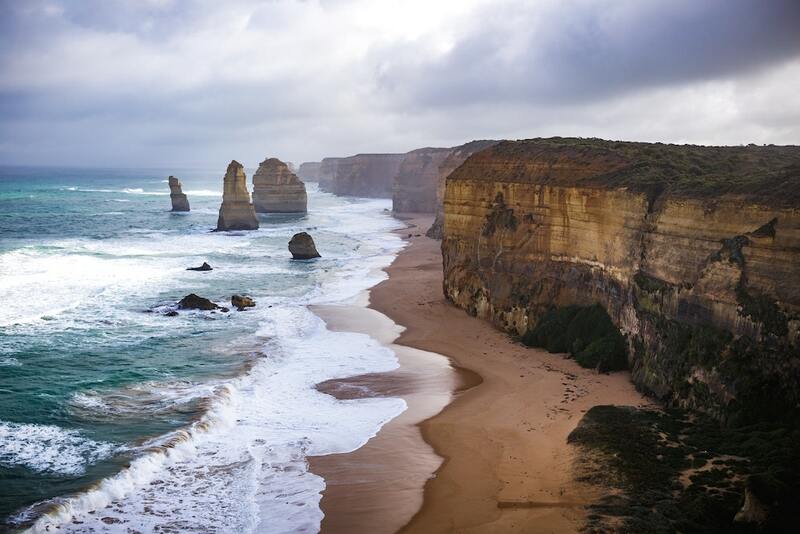 Located on the aptly named Shipwreck Coast, Port Campbell National Park is just a hop, skip and a jump from Melbourne along the famous Great Ocean Road. The rough Southern oceans have worked their character on the limestone cliffs, forming some of the most beautiful and iconic attractions in Australia. You’ll see the Twelve Apostles, the London Arch, Loch Ard Gorge, the Gibson Steps and the Grotto. Perfect for a weekend trip and with many coastal towns to stop by along the way, this National Park has something to keep everyone entertained – and the most spectacular coastal scenery around Australia. For spectacular views unique to Australia’s outback, the rough mountain ranges, sparse stretches of river red gums and deep gorges are just a small part of the raw beauty of Flinders Ranges National Park. The park features the breathtaking Wilpena Pound, a crater over 80 square kilometres in size. Walk through the single entrance to the naturally formed amphitheatre and marvel at the sheer size and shape of the rock. The park is also home to a number of heritage features, such as impressive Aboriginal rock art and the remains of early settlement. You can literally breath in the history of this unique part of Australia. Royal National Park is Australia’s first area pronounced as a national reserve and the second park named so in the world! The park features a diverse range of Australian wildlife, plenty of bush walks and cool ocean pool to dip your feet in at the end of the day. If you’re there between May to November you can watch whales from one of the park’s many ocean lookouts. Because of it’s close proximity to Sydney, Royal National Park is perfect for a day or weekend trip. The park offers BBQ facilities and campgrounds – the perfect combination! Ever wondered where the distinctive photos of those beehive rock formations are from? Purnululu National Park in Western Australia has long been a wonder of many a visitor. 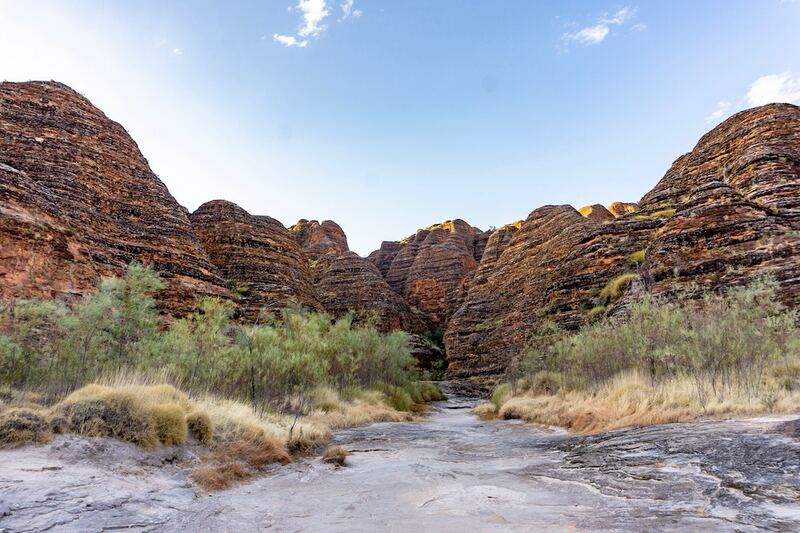 The Bungle Bungle Range is the result of 20 million years of erosion. Purnululu National Park, located approx. 300 kilometres south of Kununurra is a beautiful area, rich in Aboriginal artwork and burial sites. The park isn’t the easiest to get to and access is only available by four wheel drive but it’s well worth the effort. Make sure you pack plenty of water and a thirst for adventure – it’s at least a weekend trip! A testimony to the diversity of the Australian landscape, the luscious rainforests of The Daintree National Park hosts some of the oldest forests in the world. Located in North Queensland you can reach the park by car from Cairns and Port Douglas. Split into two sections, Mossman Gorge and Cape Tribulation, you can experience the dark sparkling waters of Mossman River and the dense mountains and beaches of Cape Tribulation in the same day. The park provides an important safe space for endangered Australian fauna including tree kangaroos and cassowaries. Literally the heart of Australia, Uluru-Kata Tjuta National Park features one of the most prominent icons of Australia. People travel from all over the world to view the geographical marvel, and for good reason. The park is 1325 square kilometres of stretching red desert. It is named after its two most prominent and famous features, Uluru and Kata Tjuta (Mount Olga). Located a 450km drive from Alice Springs, the park is reachable by car by taking Australia’s famous Red Centre Way an adventure in itself. The rolling green hills of Bimberi Nature Reserve are 30 kilometres south-west of Canberra lays in the wilderness between Kosciusko National Park and Namadgi National Park. Divided by the ACT/NSW border, the 10886 hectare reserve is perfect for a day or weekend visit with plenty of quiet activities for the family and kids. 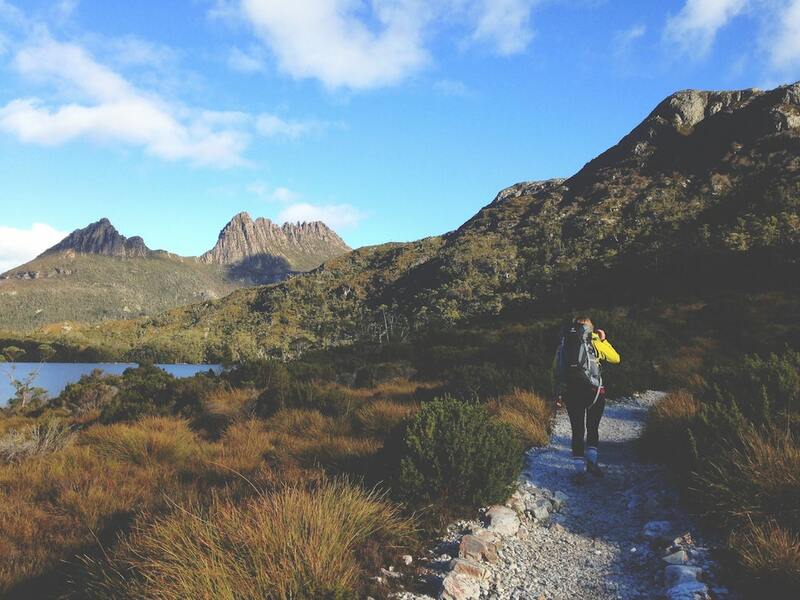 Cradle Mountain–Lake St Clair is considered one of the most beautiful places to visit. If visiting in spring and summer, you’ll be treated to a brilliant display of wildflowers including waratahs, orchids, banksias and leatherwoods. You may even spot a rare Tasmanian Devil lurking in the rich vegetation. The Overland Track provides a six-day walk passing through the heart of some of the world’s finest mountain terrain to the deepest lake in Australia, Lake St Clair. For those after a more leisurely stroll, drive to Cradle Mountain and Lake St Clair which have basic camping sites and forest walks. If your national park adventure finds you camping, make sure to read our 10 camping hacks to make the most out of your stay.